In 1999, Columbine High School, in Littleton, Colorado, faced at the time the largest school shooting in American history. Now 20 years later, survivors still suffer debilitating side effects from the trauma of that day. Four Columbine survivors spoke with Business Insider in 2018 about the aftermath of the tragedy, their efforts to help preempt future tragedies, and work with other survivors of mass shootings. Editor’s Note: This story was originally published in February 2018. It has been updated for the 20th anniversary of the Columbine shooting. When a mass shooting grips a nation, as it did on Valentine’s Day 2018, as reports of a shooting at a Florida high school unfurled, many individuals follow media coverage closely for updates. For survivors of the Columbine High School massacre, the experience is different. Every new mass shooting has the ability to bring out unbearable trauma all over again. 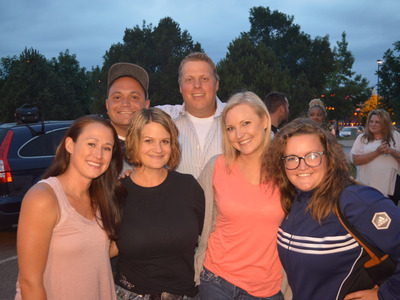 Hochhalter was a junior in 1999, when two Columbine classmates stormed the school and took the lives of 12 students and one teacher before killing themselves. Hochhalter was shot in the back that day, paralyzing her. The events at Columbine horrified viewers and changed the American psyche. Schools were no longer safe havens for children. But since the shooting in 1999, gun violence has only escalated. There have been 83 mass shootings in America since. Eleven of them were at schools. Nearly 20 years later, Columbine survivors say some physical and emotional scars they bear will never disappear. 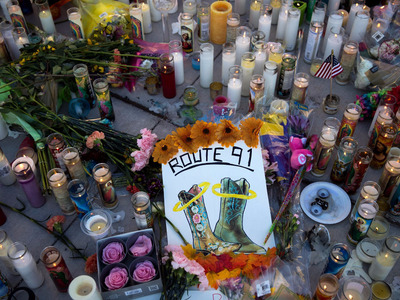 Getty Images/Drew AngererA makeshift memorial for the victims of the Las Vegas mass shooting. The 2017 Las Vegas shooting, which killed 58 people and injured 851, was a stark reminder for some Columbine survivors about how tenuous the nature of recovery is. Heather Martin, now 38, was a senior at Columbine in 1999. She says she feels helpless when watching another school shooting unfold. 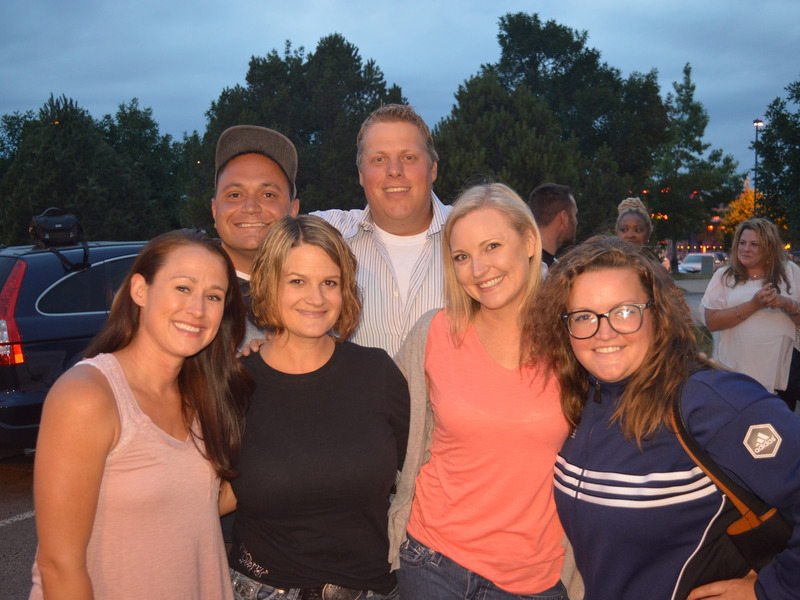 Shaun MartinMissy Mendo (right) and Heather Martin (second from right) at a survivor gathering in 2016. Martin didn’t sustain physical injuries during Columbine, so initially she didn’t realise how deeply set her trauma was. But she learned she was a changed person after a fire alarm went off in class during her freshman year of college. She later realised that the fire alarm was a trigger related to Columbine. She had been locked in a tiny room with 60 other students hiding that day, and the fire alarm was going off the entire time. “Your brain will repress those memories and they are going to come out at some point in time in different ways,” she said. The 2007 mass shooting at Virginia Tech, which killed 32 people and wounded 17 other, brought on debilitating anxiety attacks for Martin. Then, in the wake of the 2012 Aurora theatre shooting, which killed 12 people and injured 70 others, Martin took action. She started a survivor’s support group called The Rebels Project, named for Columbine’s school mascot. The Rebels Project has about 600 members today, and has grown through word of mouth. But membership has also increased as more mass shootings happen every year. Missy Mendo, 33, was a freshman at Columbine in 1999 and is a volunteer at The Rebels Project. “Each time something like this happens it has a different effect,” Mendo told Business Insider about mass shootings. “The most recent one, seeing the images of the kids running out with their hands up was something that really resonated with me and really took me back,” Mendo said. She described the Las Vegas shooting last summer as another “huge setback” emotionally. The future also worries Mendo, who was six and a half months pregnant when she spoke to Business Insider in 2018. “I am terrified thinking about my baby’s first day of school,” she said. Craig Scott, 36, was a sophomore at Columbine during the shooting. He was one of the students trapped in the school’s library that day, and two of his friends were killed beside him. Scott’s sister Rachel was the first student murdered that day. 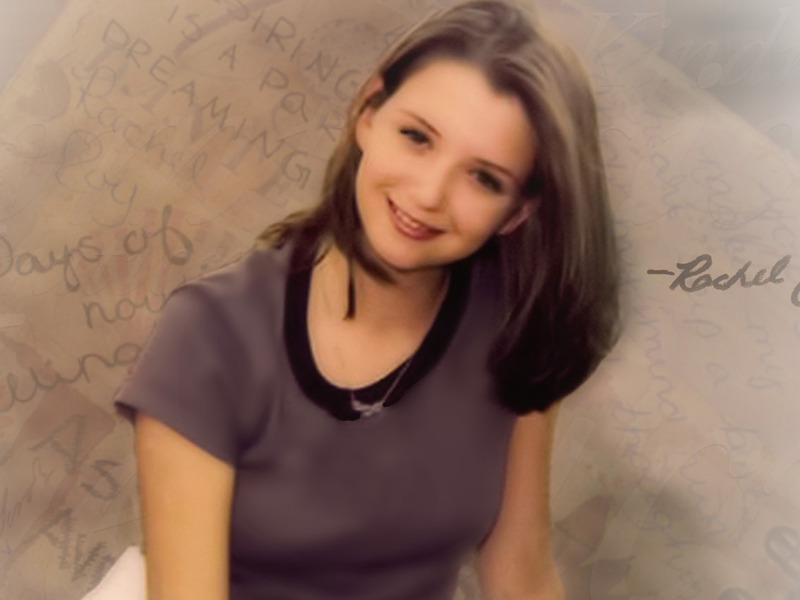 Rachel’s ChallengeCraig Scott’s sister Rachel was the first murder victim at Columbine. The anger came at a cost, Scott said. It was consuming him. On a trip to Africa a year later, he spoke to a man who lost 17 members of his family during the Rwandan genocide. “He told me that forgiveness is like setting a prisoner free and finding out that prisoner is you,” Scott said. Choosing forgiveness was freeing, according to Scott. He and his family started a school assembly program in his sister’s memory called Rachel’s Challenge. Scott traverses the country, sharing Rachel’s story and setting up kindness and compassion clubs and community events. The program reaches 3 million students a year, according to Scott. In the aftermath of a school shooting, gun reform is one of the most hotly debated topics. But on this point, the four survivors of the Columbine shooting who spoke with Business Insider were less vocal than one might expect. Martin and Mendo said their organisation doesn’t talk politics at all. They want the space to be a neutral place for all survivors of gun violence to join, regardless of political beliefs. Anne Marie Hochhalter is a vocal supporter of the No Notoriety Movement, which urges individuals and the media to limit the use of the name and image of shooters after an event. The idea is that these shooters seek fame and glory, and by changing coverage in the aftermath of a shooting tragedy, the perpetrators will be disincentivized to act. But their focus on the things they can control also seems to indicate a deeper disillusionment with government officials to affect meaningful change. As events unfolded at Marjory Stoneman Douglas High School in Parkland, Florida, Craig Scott watched some of the coverage, but not too much. Scott still finds it hard to fully tune in to footage of a mass shooting. Instead he turned his thoughts to his mission of reaching individuals who have gone through a devastating event. He reminds himself and others that the aftermath of a tragedy may feel hopeless, but that feeling will eventually lessen. Pain can actually help push you toward a greater life purpose, Scott said. And although the events like Columbine and Parkland are horrific, there are glimmers of hope in the way the community comes together after.